Hunted by the Family of Blood, the Doctor hid in Earth's past by transforming himself into a human and placing his Time Lord essence within a magical fob watch. But the essence of the Doctor was not so easily forgotten by Professor John Smith, who wrote out the most vivid dreams of adventures in time and space in a book he called "The Journal of Impossible Things." 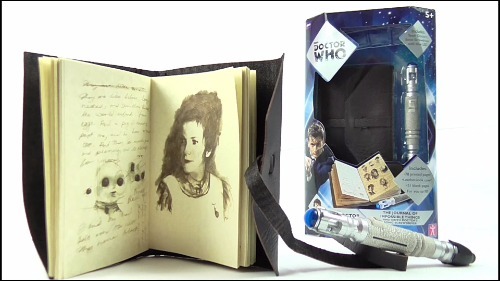 Seen in the acclaimed third season Doctor Who episode, "Human Nature," The Journal of Impossible Things recreates the magical book of stories and sketches made by the human Doctor with intricately detailed pages, plus blank pages and a miniature Sonic Screwdriver pen for inscribing your own stories of Impossible Things.